Wallis Shamieh joins integrated public relations and marketing agency as account executive. FREDERICK, Md. – April 9, 2018 – DPR Group, Inc., a full-service integrated public relations and marketing agency that specializes in representing B2B technology companies, announces the hire of Wallis Shamieh as account executive to support DPR Group’s rapid growth and the addition of multiple new clients in 2018. As account executive, Shamieh will manage public relations and marketing activities for DPR Group’s high-tech clients in industries spanning manufacturing, supply chain and logistics, healthcare technology, business and professional services, among others. Prior to DPR Group, Shamieh was a content marketing specialist for a marketing, advertising and consulting firm where she managed PR and content marketing strategies for organizations in the senior living field. 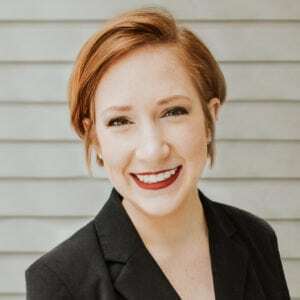 She also held positions as a marketing assistant at a performing arts center and a staff reporter for a local newspaper, The Brunswick Citizen, and has written for companies ranging in specialty from lifestyle and small business to engineering and biotechnology. Shamieh is a graduate of Hood College in Frederick, Maryland, where she received a Bachelor of Arts degree in Communication Arts. The addition of Shamieh to the DPR Group team follows the promotion of Claire Kelly to account executive earlier this year.